At first glance it still looks like a duck out of water; an Air Canada Boeing 737 MAX navigating the tarmac at London’s Heathrow Airport alongside the larger birds of the world’s biggest trans-Atlantic airlines, including Air Canada’s own seven-eights and triple-sevens. An odd site, perhaps, but an increasingly common one. 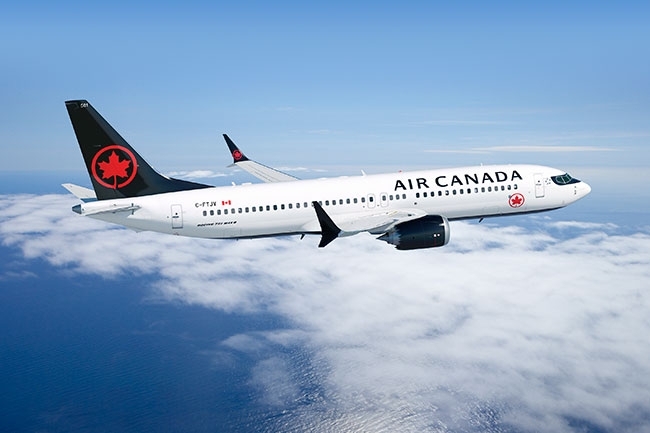 Since taking delivery of its first 737 MAX 8, Air Canada has planted the airplane on north-Atlantic routes between Toronto, Montréal and Ireland, and Halifax, St. John’s and London. Part of the growing trend of North American and European airlines taking advantage of the superior economics and extended range of a new generation of single-aisle aircraft like the MAX and Airbus A321neo, to connect Atlantic Canada and the U.S. seaboard with key European destinations. Almost unthinkable a few years ago. On the other side of London, at Gatwick Airport, a WestJet 737 MAX 8 prepares for its return flight to Halifax. Gatwick was WestJet’s first trans-Atlantic service using the MAX. Unlike Air Canada and others, WestJet did not wait for the latest iteration of the 737 before deploying the type across the pond, which at the time had largely been the purview of Boeing’s 757, a single-aisle, longer-ranger aircraft that ended production in 2004. 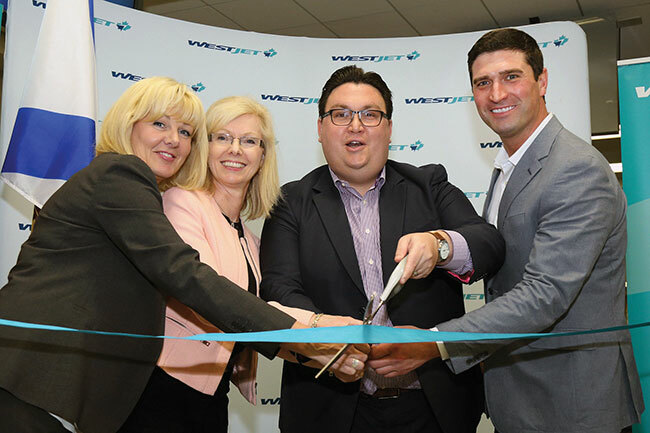 With geography overcoming the limited range of next-generation (NG) 737s, Atlantic Canada became a natural leaping off point for WestJet to begin trans-Atlantic service. In 2014, the company tested the market by launching a seasonal daily 737-700 flight from St. John’s to Dublin, Ireland (originating in Toronto). Halifax to Glasgow, Scotland, was added the next summer, setting a learning path for the arrival of the 767 and start of flights to London. Whereas carriers like Scandinavian-based SAS had to shed payload to operate similar aircraft to the U.S. seaboard, WestJet aircraft were able to carry a full load of 134 passengers. The 174-seat MAX 8 has a range of 6,570 kilometres and provides more than 20 per cent greater fuel efficiency than the 737-700. “This has been the fastest airplane ramp up in history,” says Bob Michael, Boeing’s senior manager of product marketing. “Schedule reliability of the MAX is currently at 99.4 per cent, the highest reliability of any new airplane one year into service. Airlines are aggressively using the airplane to expand their networks on short-haul high-frequency flights, longer haul markets, and to replace widebody aircraft on some routes.” Michael points out that 24 routes are in excess of 4,630 kilometres, including Western Canada to Hawaii, where Air Canada has swapped out Rouge 767s for the MAX. Consistently ranked one of the best regional airports in the world, Halifax broke the four million passenger mark in 2017, including 25 per cent connecting traffic. A strong base to build on its ambition as a complimentary North American gateway, leveraging industry demand for smaller aircraft on longer routes. 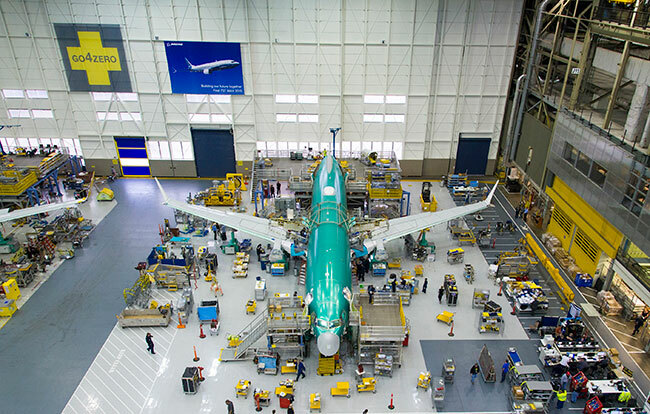 This is a key business trend that is expected to accelerate as the 737 MAX 10 and 7 (the longest-range aircraft in the MAX family) and A321neo LR (long range) enter service. The Nova Scotia government recently gave the HIAA $11.1 million to spend over the next six years to target new routes in Europe, Asia and the U.S. While seasonal charter flights from China is a distinct possibility, van de Stege says most of the money will go toward hub expansion, connecting Europe to Canada and points in the U.S. van de Stege, who started his career with Lufthansa, and spent a number of years as an airline consultant in Asia, the Middle East and Africa before arriving in Ottawa to work on the restructuring of First Air, has an understanding of the support airlines need to open a new service. “Every new route is initially loss making,” he said. “We will be focused on marketing support and making the travelling public aware of a service.” One priority will be leisure airline Air Transat, which adds the next-generation, single-aisle A321neo LR to its fleet next spring. Air Transat will be the North American launch customer for the LR and recently increased its order to 15 aircraft, along with two A321neos. The LRs, with a range of 7,574 kilometres, will replace Air Transat’s A330 widebodies, whose leases will expire during the delivery period. For now, Boeing’s Michael argues that the MAX 7 will beat the LR in range, and will be more efficient to operate. In a line-by-line comparison, he notes that the A321 is 17 tonnes heavier than the MAX and will cost 17 per cent more to operate. “With three auxiliary fuel tanks [on the LR] they add weight and maintenance costs. And we are going to continue to invest in the MAX like we did with the NG to fly further and connect more markets.” WestJet has orders for 23 MAX 7 and 12 MAX 10 aircraft.